These adorable hand crafted macarons add a touch of French glamour to any outfit! 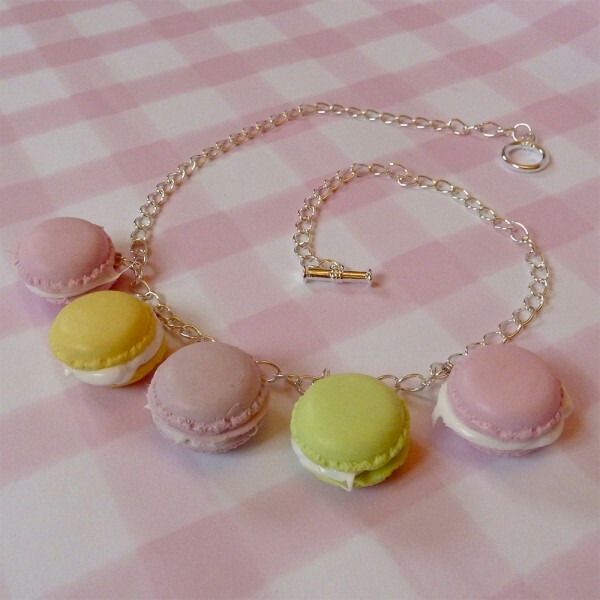 The cute necklace features giant macarons and faux pearls – and the mouthwatering macarons look good enough to eat – but no nibbling! Matching Items are available - Earrings, Bracelets, Rings and More!